MVG is a non-profit organization dedicated to the study, exploration, and conservation of caves and cave life. The Grotto is a chapter of the National Speleological Society, and a member of the Missouri Speleological Survey. Meetings are generally held on the third Wednesday of each month - 7:00 pm, at Powder Valley Nature Center, 11715 Craigwold Road, in Kirkwood, Mo. The Grotto sponsors several cave trips and other activities each month. For more information about Meramec Valley Grotto, visit their website at Meramec Valley Grotto . 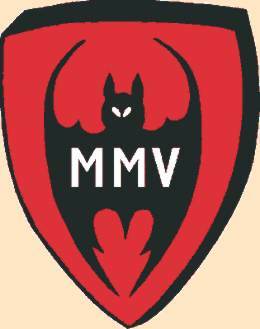 MMV is a chapter of the National Speleological Society, and a member of the Missouri Speleological Survey. Meetings are generally held on the fourth Tuesday of each month also at Powder Valley Nature Center. MMV Grotto has a special interest in the caves of Perry County. For more information about Middle Mississippi Valley Grotto, visit their website at Middle Mississippi Valley Grotto . Stygian Grotto is a chapter of the National Speleological Society, and a member of the Missouri Speleological Survey. Meetings are generally held on the first Thursday of each month - 7:00 pm, at the St. Louis Senior Center, on Arsenal, near the St. Louis Hill. Stygian Grotto has a special interest in cave search and rescue, and caves close to St. Louis on both sides of the river. For more information about Stygian Grotto, visit their website at Stygian Grotto .